Do you own a small or micro-business? 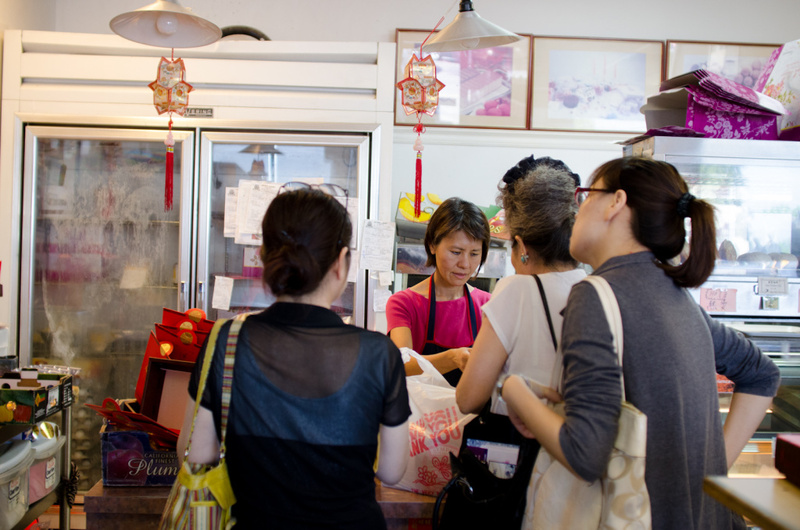 Nancy Yang, owner of Olympic Bakery, helps customers with their orders of Mooncake and other pastries in Temple City, Calif., Monday September 24, 2012. The small pastries are made for the Chinese Moon Festival which takes place during the eight lunar month each year. Small and micro-businesses power our everyday lives. The small enterprises known as micro-businesses—most with one to five employees and many owned and operated by people of color—are all around us. But the challenges and pitfalls of running a "micro-biz" are many: Some owners can’t quality for loans; others don’t have the right training to manage administrative tasks. There are HR issues, a shifting post-recession marketplace, and matters of cash flow.